We are always searching to find unusual, rare, interesting prestige vehicles with excellent provenance. We can give a price over the phone and offer instant payment and nationwide collection. 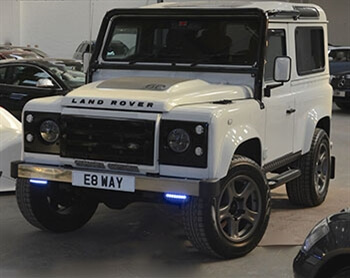 Alternatively, we are happy to take high quality vehicles including classic cars and more expensive cars than the one you are looking to purchase and will always give a good price based on the individual car taking into account, provenance, specification, description and knowledge, rather than being bound by a trade guide price. We can even offer a good price for vehicles that do not reach our high trade standards as we have a trade site dedicated to selling part exchange vehicles. Please call or email with your vehicle for chat. We also offer a brokerage service whereby we prepare the car to retail standards, photograph and advertise to our existing customer base and through our advertising network in order to achieve true market value.